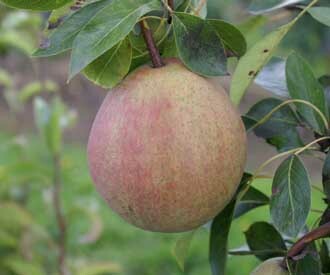 A large sweet and juicy mid season dessert pear. Very large, oval fruit. Smooth, golden yellow skin with red flush. White juicy flesh. Good, sweet, aromatic flavour. Fairly vigorous, upright tree. Very good cropping.